Chad Baker is the owner of SERVPRO of Indianapolis West. Chad has several years of experience in the cleaning and restoration industry. Prior to purchasing his SERVPRO franchise, Chad was a sales representative in the building industry. Chad's favorite part of SERVPRO ownership is meeting and working with customers to see that their experience with SERVPRO exceeds their expectations. Chad holds the following IICRC certifications: Water removal technician and Applied structural drying(WRT and ASD). Rick Boger is the Marketing Manager for SERVPRO of Indianapolis West. Rick has 11 years of sales and marketing experience in the restoration industry. Prior to becoming part of the SERVPRO family, Rick was a professional photographer. 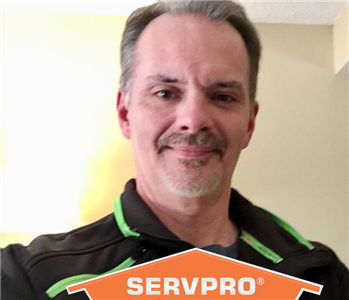 Rick's favorite part of working at SERVPRO is helping families get back into their homes, living life as normal again, after disasters strike. Keith Baker is the lead estimator and admistrator at SERVPRO of Indianapolis West. Keith joined the SERVPRO team in 2012 after retiring from a career as a senior electrical designer in the commercial building industry. Keith's favorite part about working with SERVPRO is that every day is different and that we have the enjoyment of helping people every day. Keith holds the following IICRC certifications: Water Removal Technician (WRT). Kenny Reeves is the Production Manager at SERVPRO of Indianapolis West. Kenny oversees all of the production crew processes and construction project management. Kenny has many years of construction and management experience. Prior to working with SERVPRO, Kenny was involved in construction and handyman services. Kenny's favorite part about being part of the SERVPRO team is meeting and providing great service to a lot of new people. Kenny holds the following IICRC certifications: Water Removal Technician (WRT). Chase Singer is a production crew member at SERVPRO of Indianapolis West. Chase has a great dedication to customer service and attention to detail. 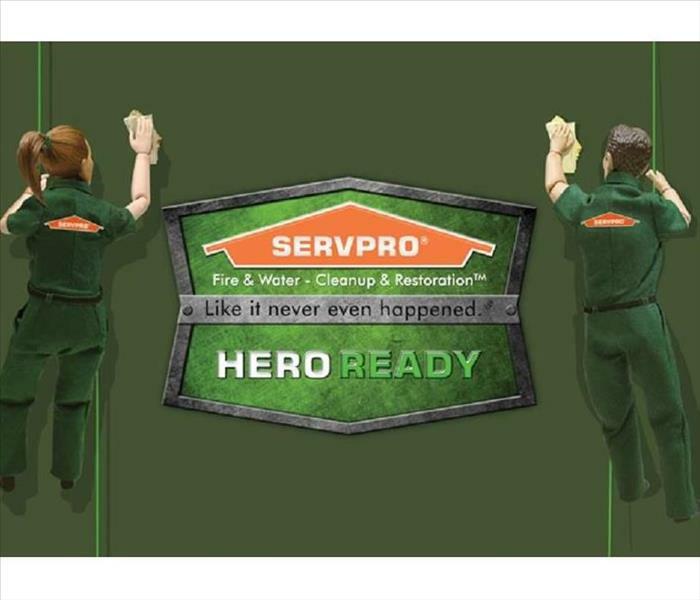 Chase's favorite part of being part of the SERVPRO team is experiencing the production process from the start of drying and cleaning to the final day when the whole project is done and families are going back home. Chase holds the following IICRC certifications: Water Removal Technician (WRT). Tommy Alba is a production crew member at SERVPRO of Indianapolis West. Tommy has 9 years experience in the restoration industry. Tommy's favorite part of being part of the SERVPRO team is his co-workers and experiencing the variety of jobs. Tommy has a great focus on customer service. Tommy holds the following IICRC certifications: Water Removal Technician, Mold Remediation Technician, Lead Paint Remediation. Teresa Ducker is in charge of the contents cleaning division at SERVPRO of Indianapolis West. She is also a trained fire and water cleaning technician. Teresa has several years of experience in the restoration industry as a cleaning/restoration technician. If Teresa can't get it clean....it can't be cleaned! Teresa's favorite part about being part of the SERVPRO team is helping families in their time of need. Sadie is our official door greeter and also responsible for breakroom scrap cleanup. 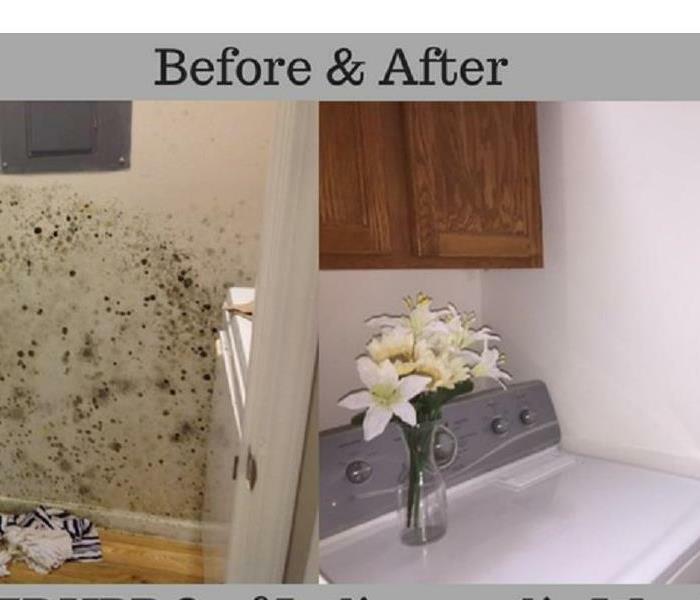 She's been a part of the SERVPRO of Indianapolis West team since 2009 and is very good and her job. Although she's sometimes seen napping at work, we still think she's top dog.